Last time I complained about moving so now it's time to appreciate the silver lining: my new place has an oven! Having done a fair bit of apartment hunting in Paris, I wouldn't go so far as to say that an oven is a luxury, but given how small kitchens usually are it can be tricky to find a place that's decently equipped for an aspiring chef. To give you some idea, the "oven" in my last apartment - a 2BR that I really liked - was the size of a large toaster and operated on a strict on-off basis sans temperature control. So you can imagine how pleased I was when I moved in a realized I could practice and experiment in the kitchen. 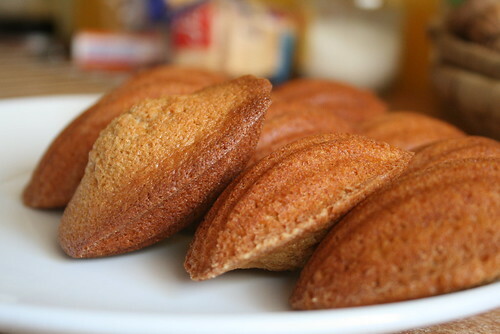 As one of my favorite lessons in basic pâtisserie, Madeleines were a logical first project because they don't require any special equipment or ingredients, except for the shell-shaped cake mold. Prepare the milk by steeping the tea in it. Heat to a simmer, then set off to the side to cool. 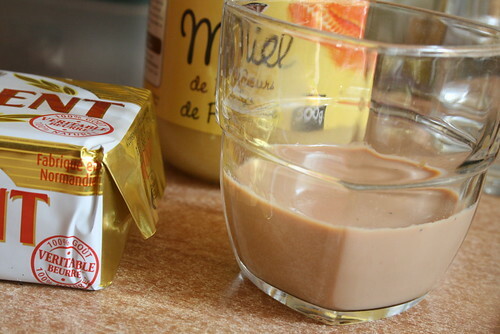 I discarded the tea bags after squeezing out the milk, but for more flavor you could try using loose leaf and leaving it in the batter. Preheat the oven to 170ºC. Grease and flour the cake mold well if it's not non-stick. 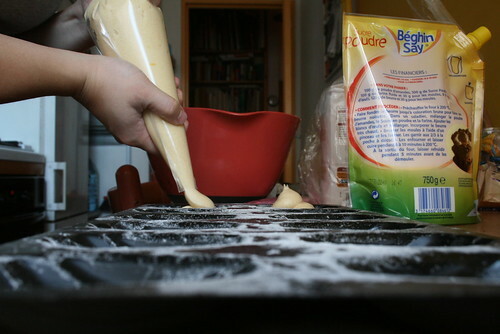 In a large mixing bowl cream the butter and vanilla beans (by hand or with the paddle attachment of a stand mixer). Add the sugar and continue to mix. 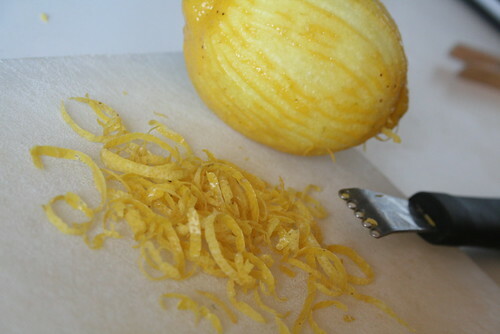 Add the lemon zest, honey and vanilla extract, and mix well. Next add the eggs gradually, scraping down the sides of the bowl as you mix. Combine the flour and baking powder in a separate bowl, then add to the batter in several additions. Finally, add the milk in slowly. If using a machine, finish up by hand so you can scrape the bowl. Scoop the batter into a pastry bag, cut off a sizable piece of the tip, and pipe a ball of batter into each shell. Don't worry about spreading it - that will happen naturally in the oven. Make sure you pipe enough batter that it sticks up over the surface of the pan. Bake for about 10 minutes, before turning the oven down to 160ºC and rotating the pan. Then bake for another 5-7 minutes until done. 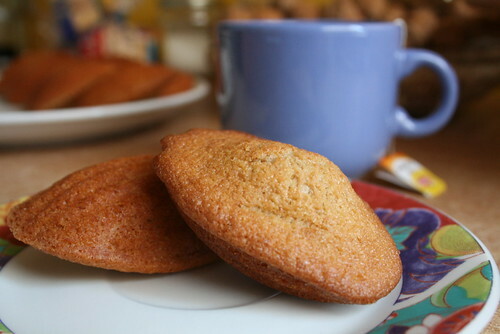 The cakes should be golden brown around the edges and the center firm. Look for a nice bump on the non-striated side. Enjoy with a cup of your favorite tea or coffee. The cakes are good fresh but even better the day after.